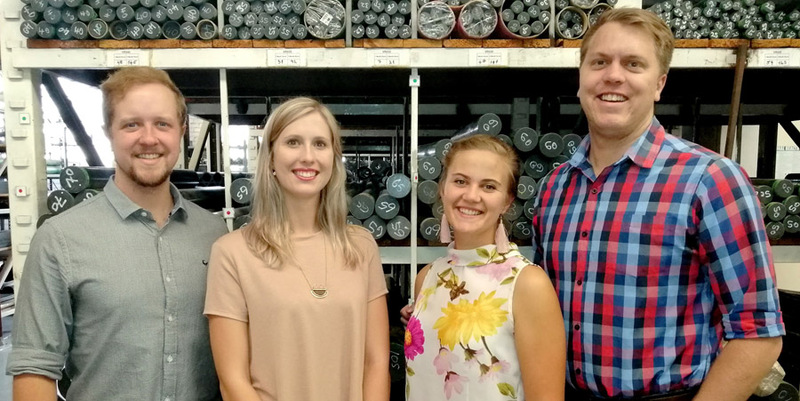 Vesconite Bearings, the leader in high-performance bearing polymers, has appointed four additional engineers as part of a drive to provide the best technical advice on the use of its products, announced Dr Jean-Patrick Leger, company CEO. Additionally, the company intends to expand the range of applications in which its no-grease, hard-wearing, low-coefficient-of friction polymers can be used, he said. New appointees Zané Easton and Monique Kooij are chemical engineers who will be responsible for rail and marine applications, respectively. Meanwhile, appointees Conrad Penzhorn and Franco Swanepoel are mechanical engineers who will be responsible for transport and pump applications, respectively. All of the engineers will be building Vesconite Bearings’ global customer bases and adding applications in their particular portfolio areas. With a factory floor space of 20 000m2, Vesconite Bearings houses polymer compounding, extrusion and moulding shops in addition to its extensive machine shop. Vesconite Bearings boasts customers in more than 100 countries, exports over half of its total sales, and dispatches large orders regularly to the US, China, South America and Australasia.